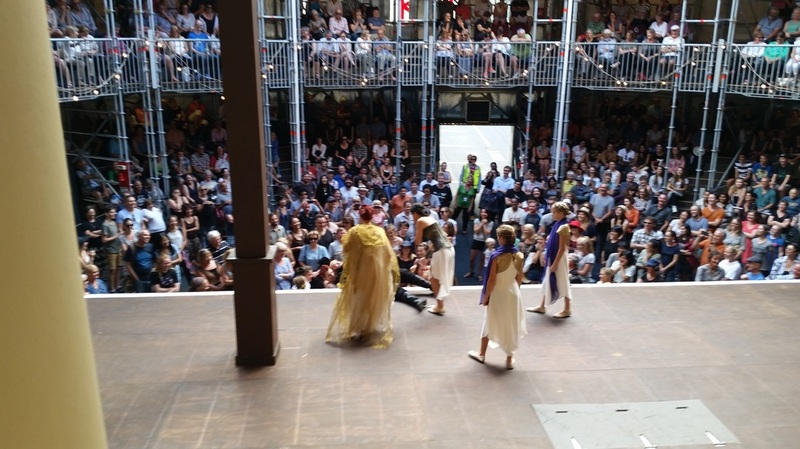 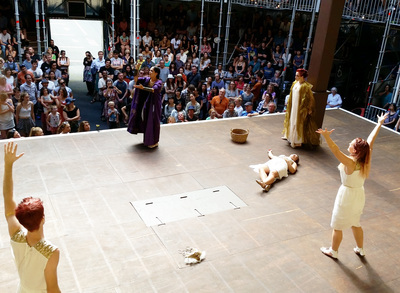 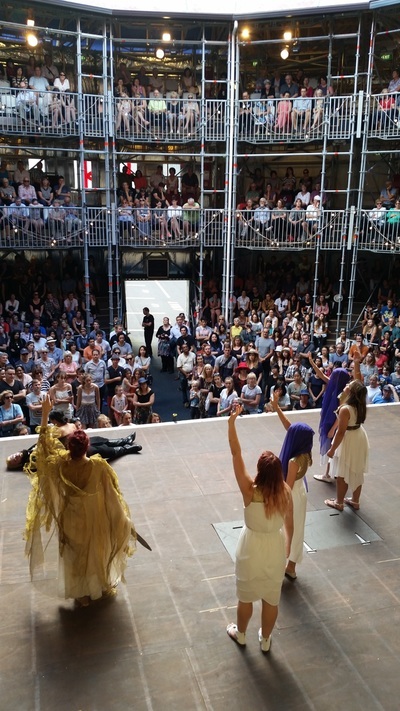 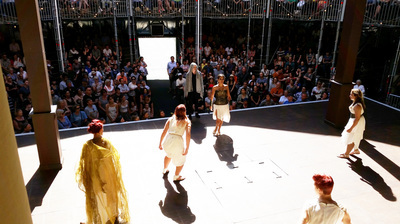 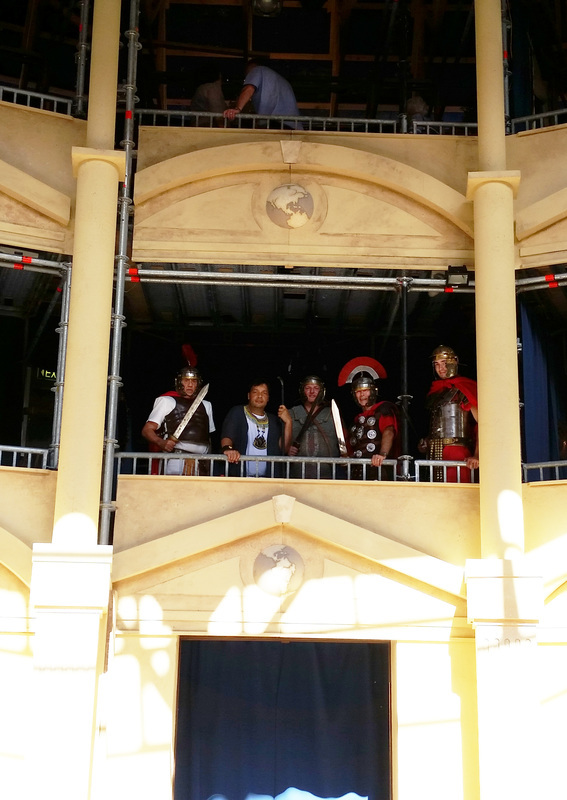 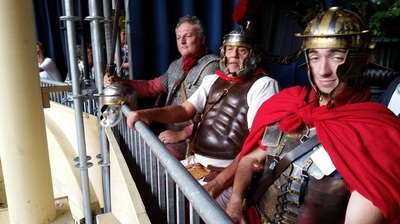 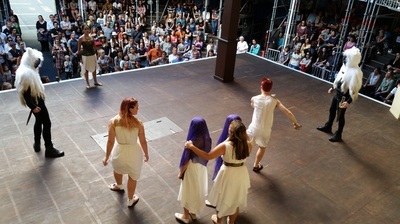 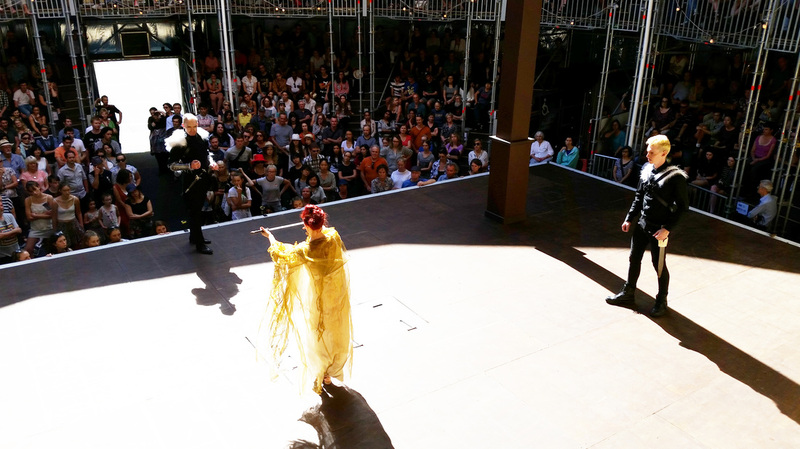 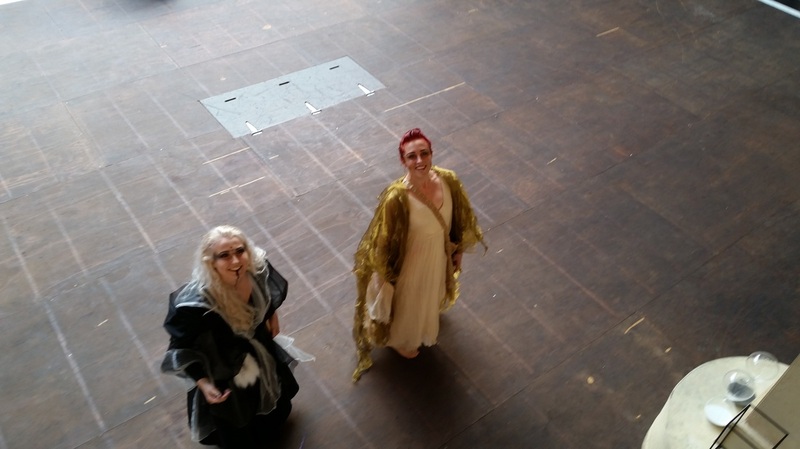 The Romans and Egyptians had a day at the theatre to relive the glory days of Antony & Cleopatra. 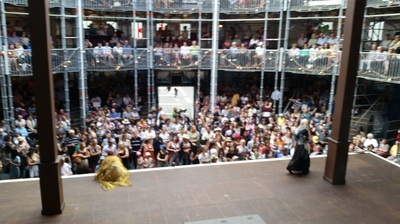 Looking down on the players, those in white are Egyptians and in black the Romans. 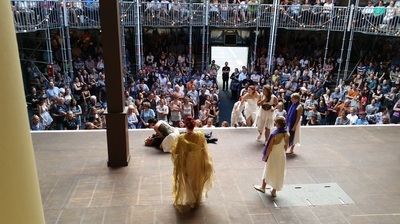 They kept pretty true to Shakespeare's play, although the drinking party had a hose and beer funnel, and the two Roman assassins were dressed in teddy bear outfits like Ewoks. Octavian and Cleo were well cast, but Antony had a beard - something that didn't become Roman fashion until the emperor Hadrian used it to hide his pimples. 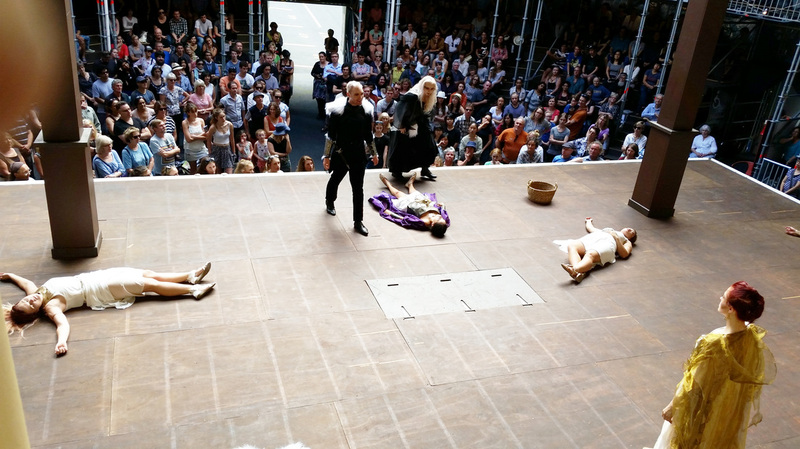 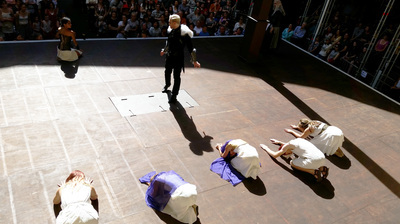 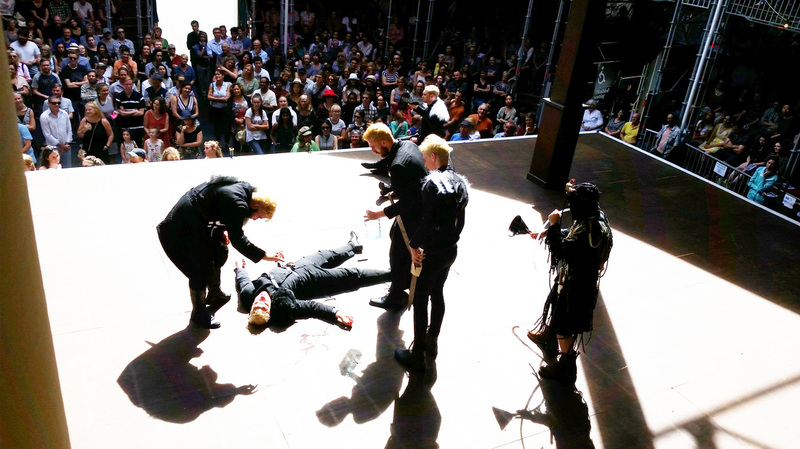 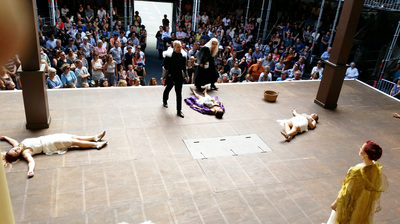 A truly timeless play, Antony & Cleo certainly eclipse Romeo & Juliet when it comes to crazy suicidal lovers. 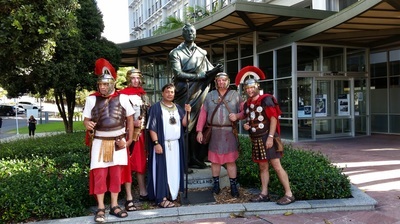 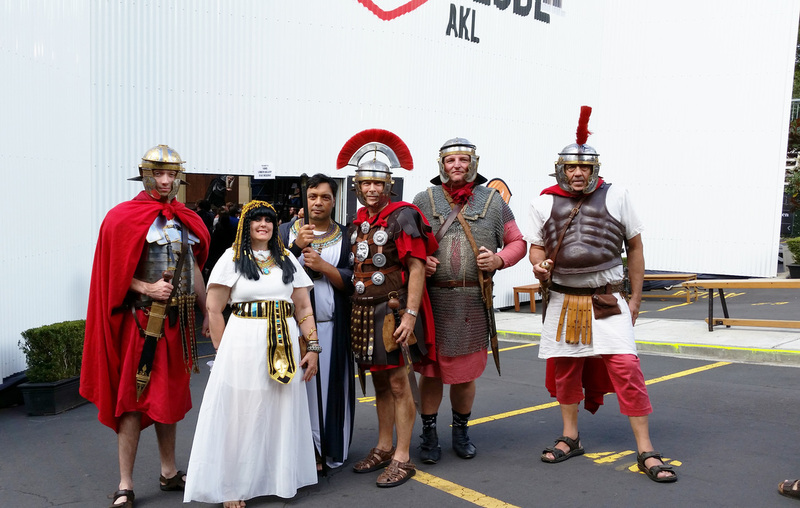 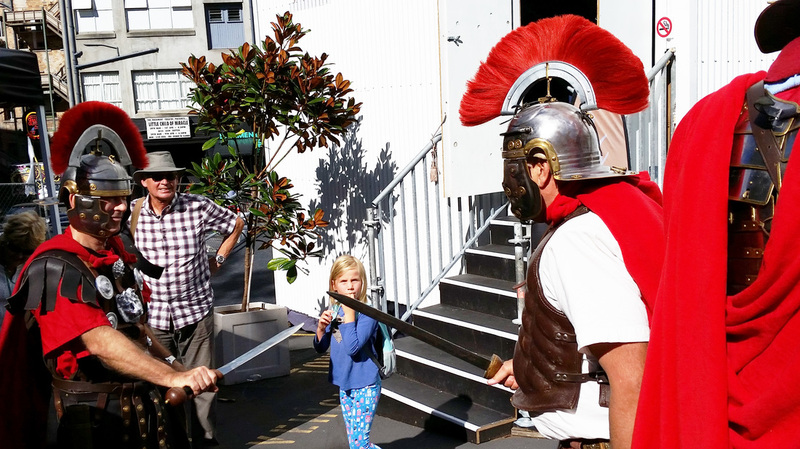 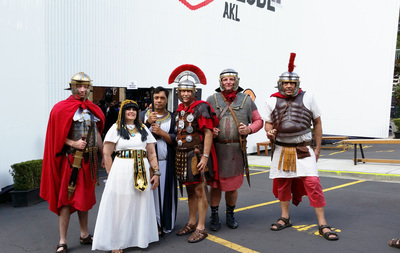 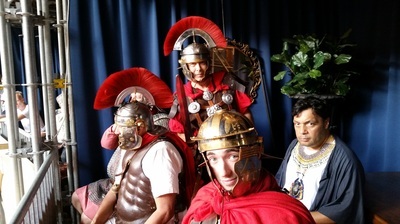 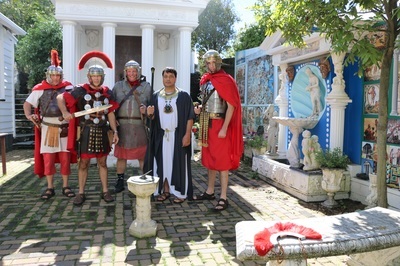 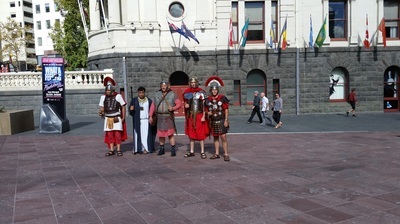 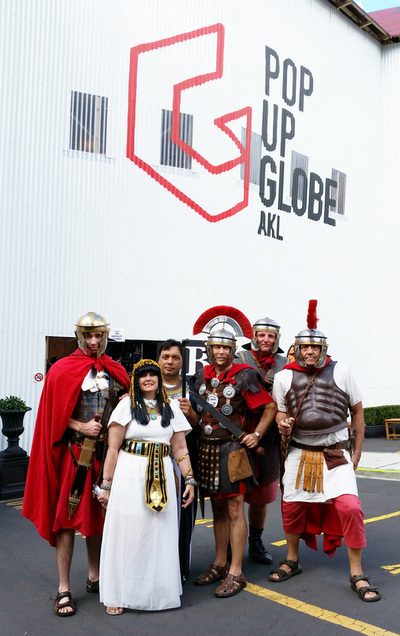 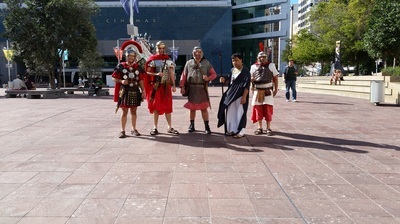 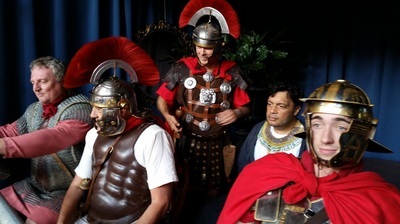 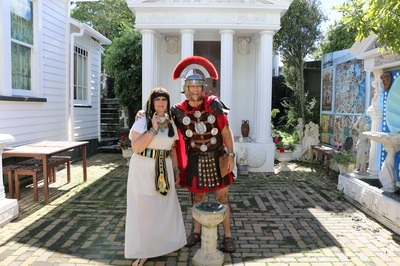 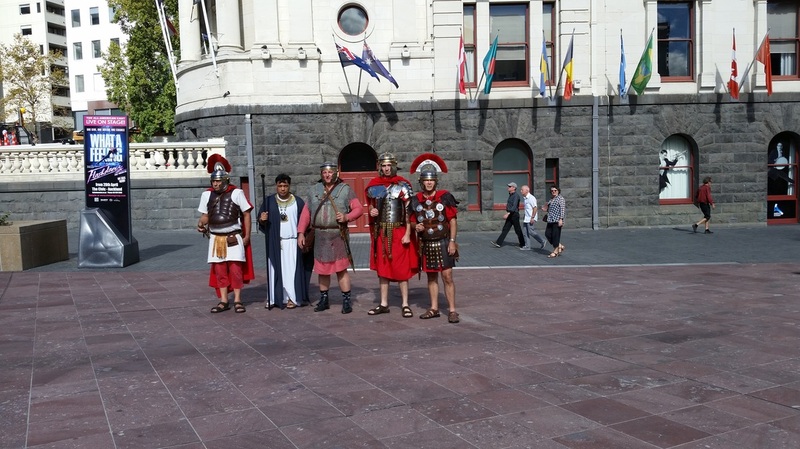 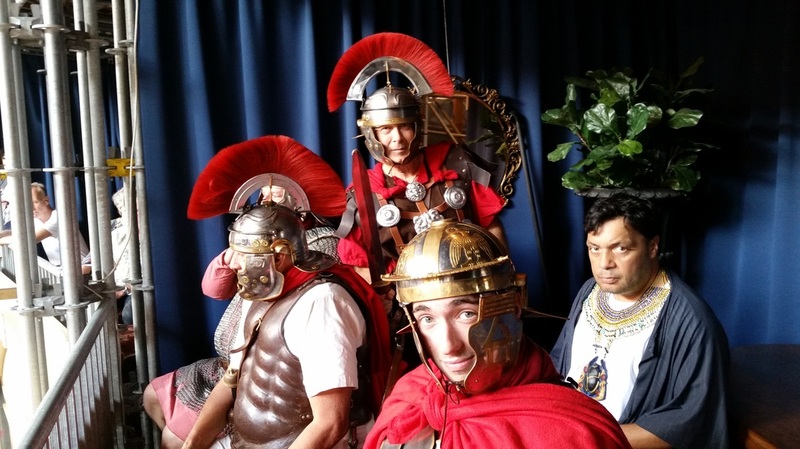 Outside the crowd wanted selfies and we answered questions about our gear, before taking a stroll around Aotea Square to the bronze statue of Lord Auckland (1849) looking resplendent in his Roman toga that he no doubt wore in spiritual kinship with Rome as a civilising force over wild barbarians.